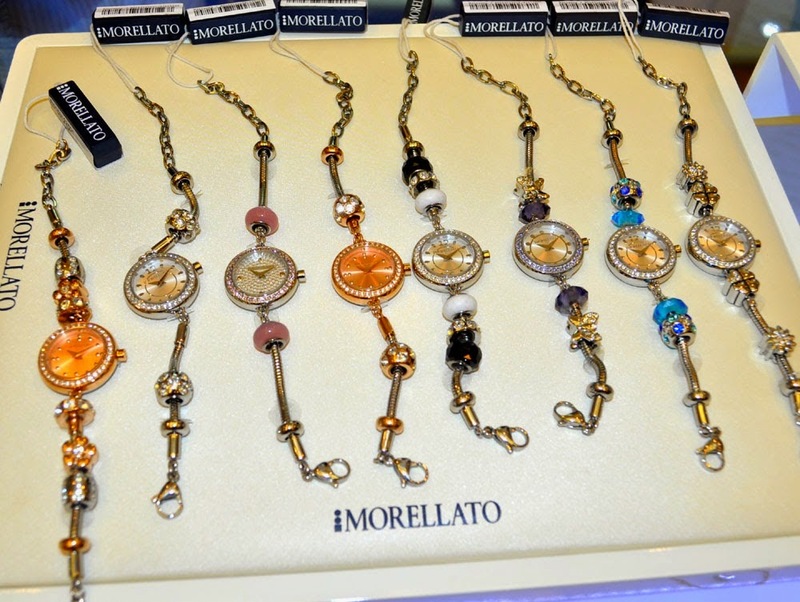 With the phrase “More essential, more sensual,” Morellato brings gorgeous Drops watches for the Fall-Winter 2014 collection, not simply to tell the time but to be worn as a fashionable accessory. I love the added line of fine invent-your-own-watches to the collection, having the emotional appeal that the best of Italy is always able to present. The watch collection has recently made its sparkling debut, with modular or pre-composed bracelets. 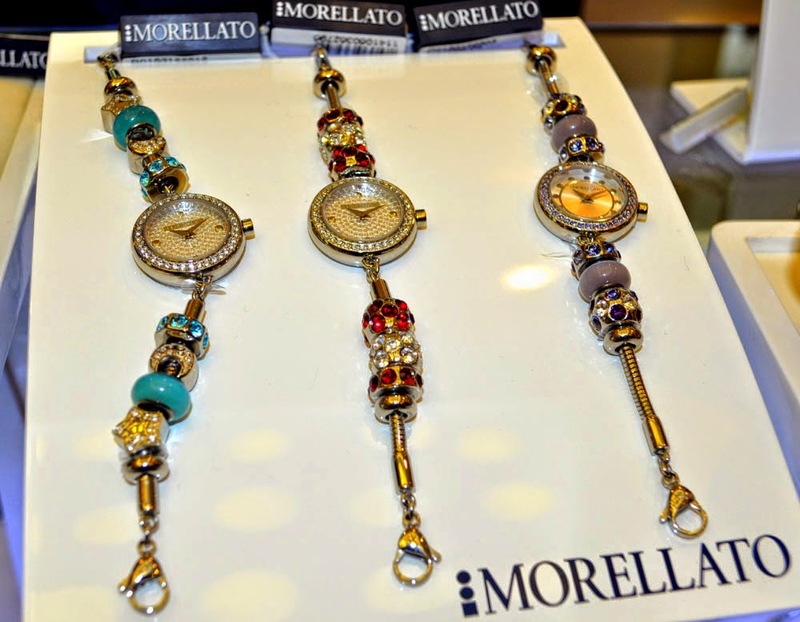 Indeed, the "best hours" of our lives can be remembered with the Morellato Drops watches. What I love most about it is that you can customize your own watch and make it unique. The option of using the same Drops elements is innovative and unusual. The themes and colours of these elements recall emotions and feelings, and can be used for making both the jewellery and the bracelets of the new watches. The charm costs Php 995 each, and they are interpreted in colours (lilac, amber, pink, pale blue, turquoise, black and rose gold), forms and designs that are always different, making for a true treasure chest of compact emotions; the extensive range of elements makes for an infinite number of possible combinations. From the delicate heart which opens up to reveal a precious crystal inside, to the sweet charms specifically designed with our trusted furry friends in mind, you'll surely love the Morellato drops, charms and bling blings, just like I do. Location: 5th floor, East Wing, Shangri-la Mall, Ortigas Center, Mandaluyong, Philippines. They will open new branches soon in SM Makati, SM Aura and Alabang Town Center. Bring the jewel into daily life and make every single moment precious and timeless. 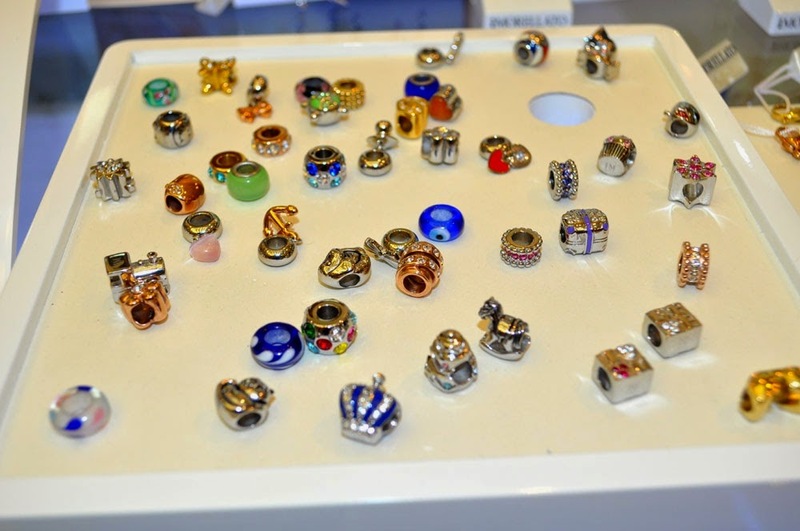 Would you like to create your own jewel? Nice design but poor quality and after sales service. Bought 2 bracelets and a necklace at their SM North branch. In less than two months several of the studs and jewels have fallen off. I went to their SM North branch and was told that the warranty is only good for 7 days.